Recent statistics suggest that the demand for business loans has begun to increase with a significant rise in the number of small businesses applying for commercial and industrial loans. As we move into the second half of the year, it appears that many businesses are now looking to invest in perhaps previously forgotten areas and this has meant that competition for business loans is now strengthening. The overall feeling is that the increase in the number of companies seeking business finance is mostly due to the fact that banks are finally beginning to ease on their criteria for approving the business loan applications. They have begun to relax their rules on credit standards and have started to lend more which has encouraged more businesses, of all sizes, to begin applying once again for business loans. This has had a positive impact generally on their predicted economic outlook and the number of applications will hopefully continue to steadily increase. The financial institutions which have reported the biggest rise in the number of companies applying for loans are those which have softened or changed their lending criteria, making it more favourable towards businesses who have recently put in applications. In terms of personal finance applications, mortgage loan applications are also on the increase but banks have not appeared as willing to ease their standards as significantly as they have been in the business sector at the moment, particularly for those they class as weak borrowers. Not many people who are considered to be high-risk have applied for mortgages in recent months, but those that have, have found banks unwilling to reduce their requirements and more likely to deny their application. This is increasingly frustrating for people who would be able to meet the repayments but simply cannot prove this to the banks. On the other hand, there has been a strengthening demand in mortgage loan applications from those classed s low-risk borrowers, and banks have seen a rise in the number of mortgages granted to such prime customers. Perhaps in the near future, banks will begin to ease on their lending criteria for personal finance as well as business and this is the hope for many first time buyers and self employed people who have struggled to achieve a successful mortgage application in the past few years. However, if you are a business which is looking to secure financing in the near future, it would appear that now could be the right time to make your application. 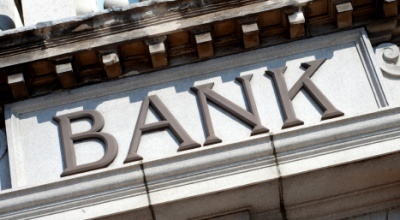 Banks generally appear to be taking a more positive outlook towards granting businesses loans and if you take the time to prepare a strong case, demonstrating to the financial institution you are applying with that you are not a high-risk investment, then you stand a good chance of having your business loan approved. You should prepare well in advance with a business plan and business financial forecasts and this should help you stand in good stead for business finance.